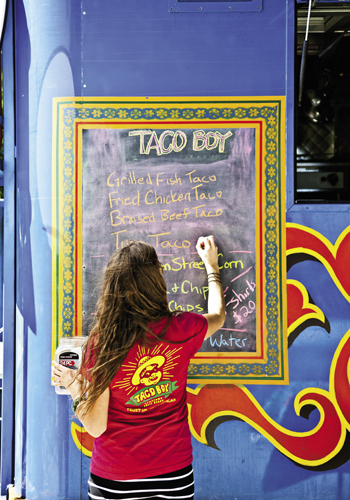 Ever since 2005, when Charleston got its first look at the colorful Mexican cantina on Folly Beach, the Lowcountry has been gaga for Taco Boy. 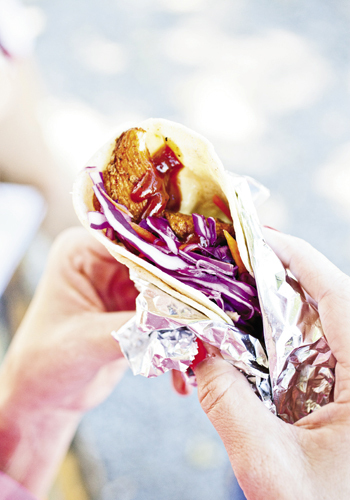 Now, along with a location on Huger Street, this franchise from REV Foods—the masterminds behind Monza, Closed for Business, and Poe’s Tavern—has gone mobile, bringing comida muy deliciosa to the streets of Charleston. “Our truck is named Spammy because she was originally manufactured by the Hormel Company to promote Spam across the U.S.,” says Taco Boy owner Karalee Nielsen. 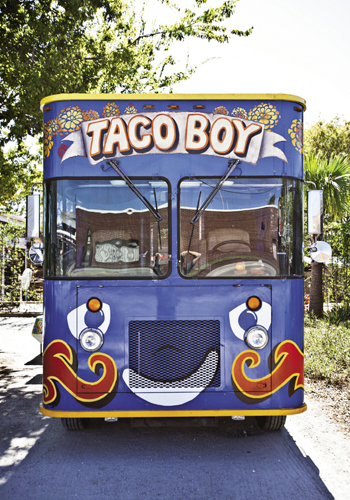 But don’t expect a spam taco from this perma-grinning vehicle. 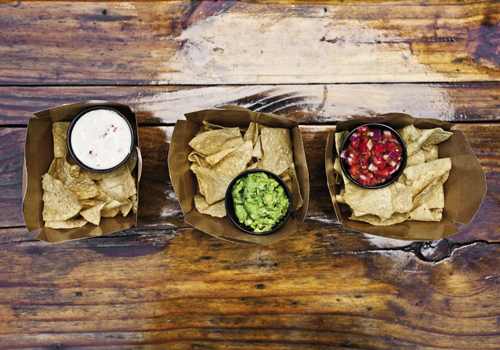 “We swap in and out our best-selling items, but our Mexican street corn is almost always available,” says Courtney Parades, director of events and catering. “We had one man order and eat 10 corns in one day, no exaggeration!” Clearly, the treat—deep-fried and covered with Mexican aioli and a cotija cheese—is a fan favorite. That’s not the only menu item making visitors snack-happy, though. Folks line up for carne asada, grilled fish, and grilled chicken tacos. 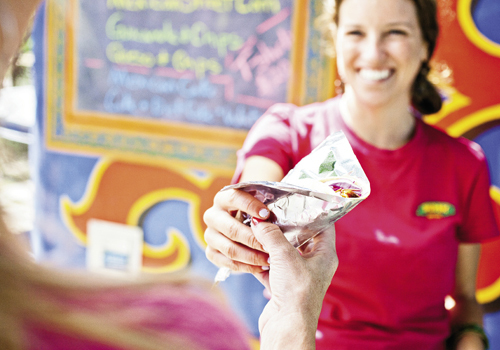 The truck makes stops at area events and food truck rodeos, as well as private catering gigs. But don’t expect a cold margarita to go; due to liquor laws, food trucks are out of luck when it comes to serving alcohol at public events. 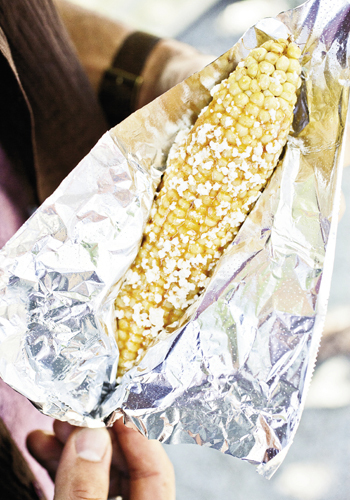 Comforting thought: bingeing on corn won’t cause a hangover.